org.jboss.netty.channel.socket.nio.NioServerSocketChannelFactory which creates a server-side NIO-based ServerSocketChannel. It utilizes the non-blocking I/O mode which was introduced with NIO to serve many number of concurrent connections efficiently. There are two types of threads in a NioServerSocketChannelFactory: one is boss thread and the other is worker thread. Each bound ServerSocketChannel has its own boss thread. For example, if you opened two server ports such as 80 and 443, you will have two boss threads. A boss thread accepts incoming connections until the port is unbound. Once a connection is accepted successfully, the boss thread passes the accepted Channel to one of the worker threads that the NioServerSocketChannelFactory manages. 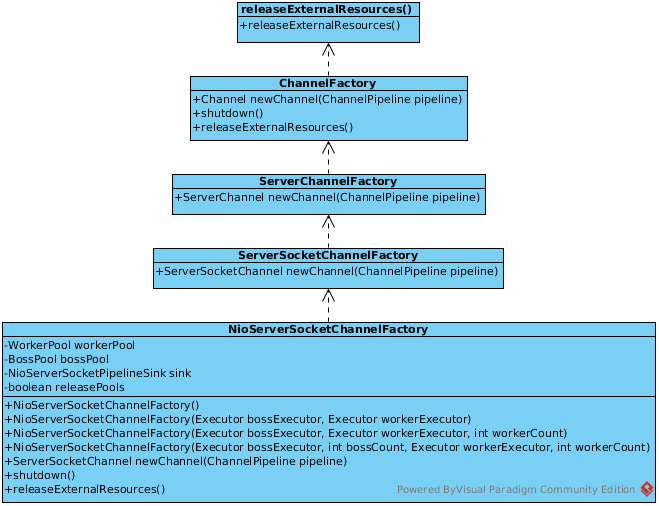 One NioServerSocketChannelFactory can have one or more worker threads. 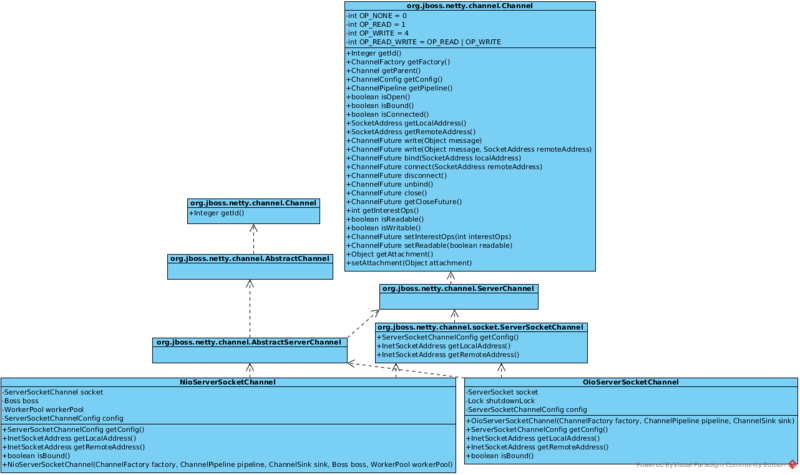 A worker thread performs non-blocking read and write for one or more Channel in a non-blocking mode. 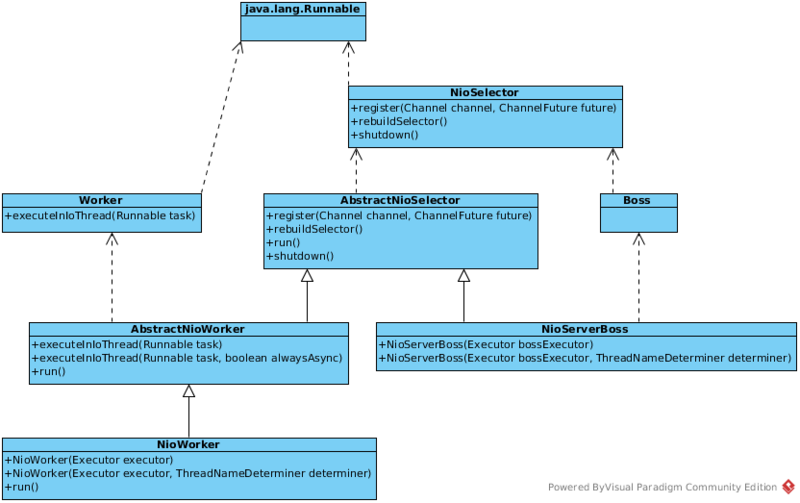 All threads are acquired from the Executor which were specified when a NioServerSocketChannelFactory was created. Boss threads are acquired from the bossExecutor, and worker threads are acquired from the workerExecutor. Therefore, you should make sure the specified Executor are able to lend the sufficient number of threads. It is the best bet to specify Executors.newCachedThreadPool() a cached thread pool.